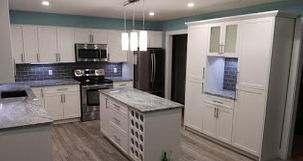 Kitchen Cabinet Refacing Door Replacement in Edmonton and Red Deer, Alberta Call 780-222-0224 100's of colours to select from with cabinet door replacement options along with and counter tops. 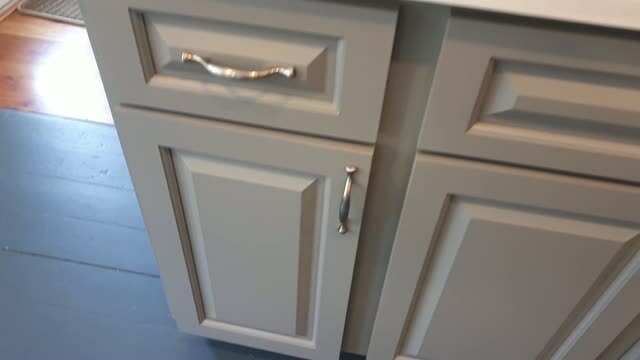 Can you see that your cabinet doors are showing their age? Maybe the drawer boxes and slides not pulling out smoothly? In need of a quick update before putting your home on the market. 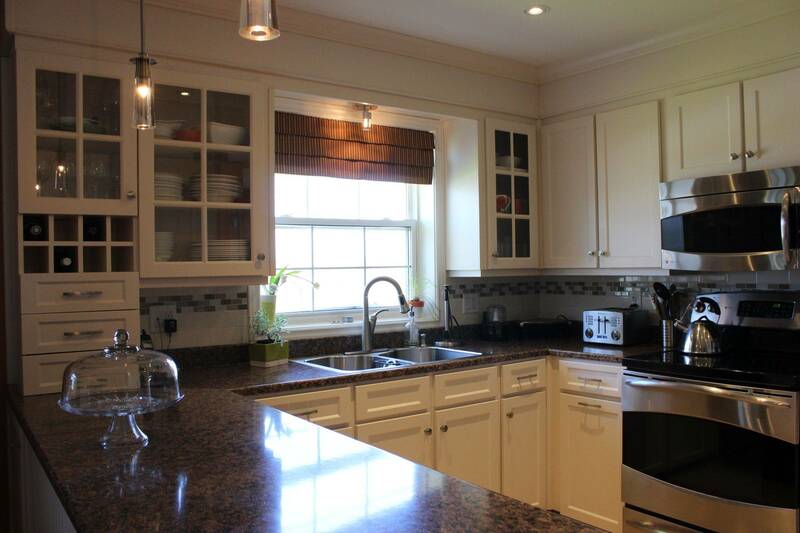 We can easily exchange your kitchen cabinet doors for newer ones. If your cabinet boxes are in good solid condition and you are happy with the layout then there is no need to replace. On average 50% to 60% of the cabinets are in place. 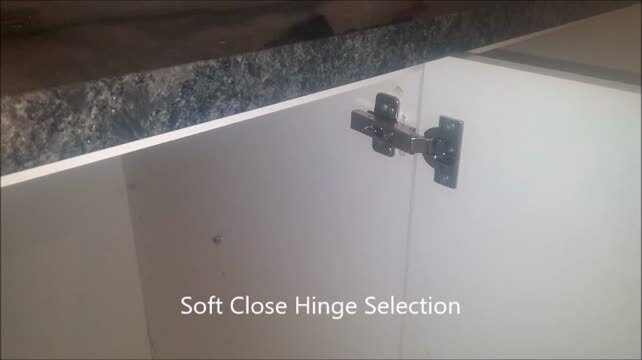 Drawer and handle hardware can be easily replaced with modern soft close concealed hinges. Kitchen Cabinet refacing project with new replacement doors. 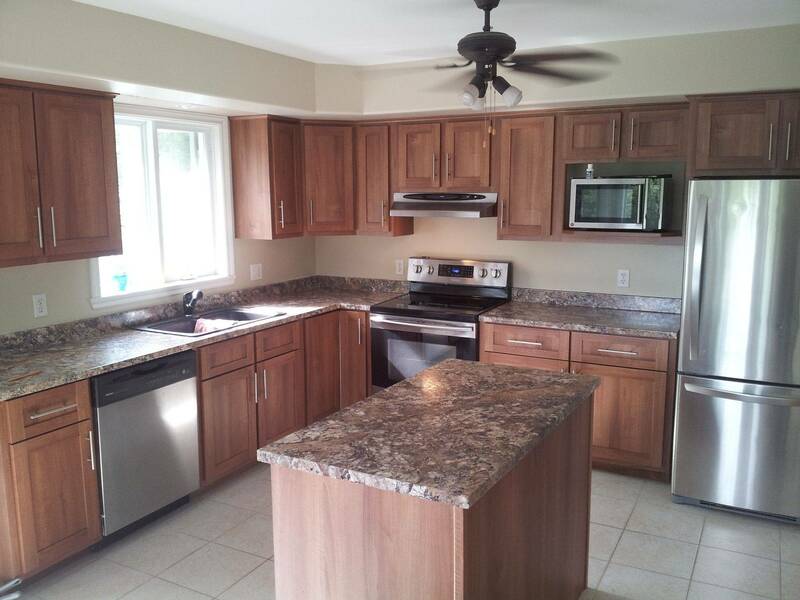 This custom save approximately $11500.00 compared to a new kitchen. Money saved went towards new appliance upgrades. Trim kit covering fridge doors fronts. Garage storage cabinets have vertical lift doors with auto lite systems. Lower spice cabinets are installed with a soft close system and are custom made. with curved door profile. Fluted columns. Appliance garages with vertical lift doors with auto lite systems. 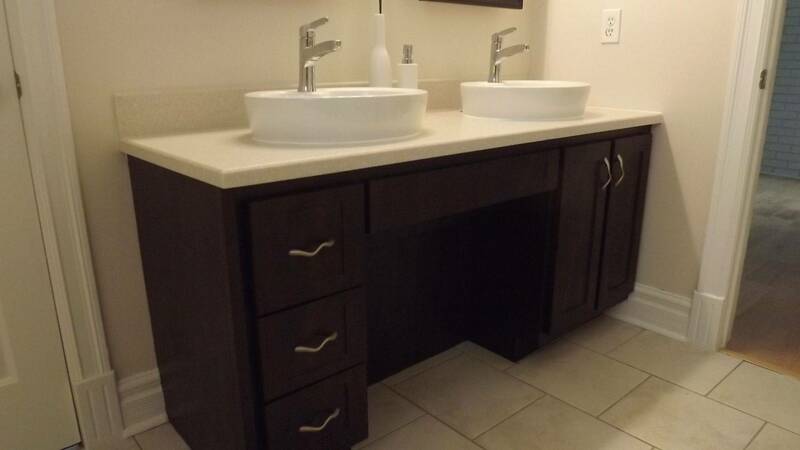 Lower spice cabs are installed with soft close door and drawer hardware. Quartz tops had stainless steel pop up electrical plugs. Recycle cabs had pneumatic foot switches to open and close,hands free. 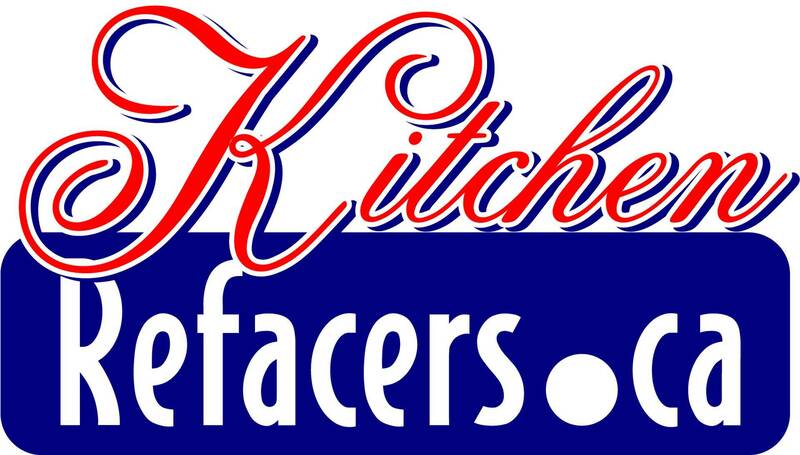 We offer kitchen cabinet remodeling with our kitchen refacing services. 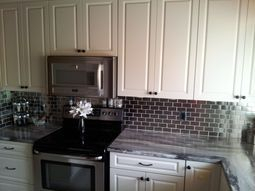 If you are looking for other work to be completed in our refacing program. Let us know. 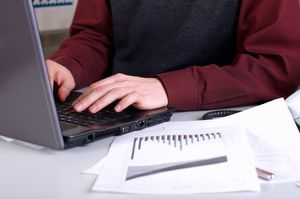 Some work we can offer is. 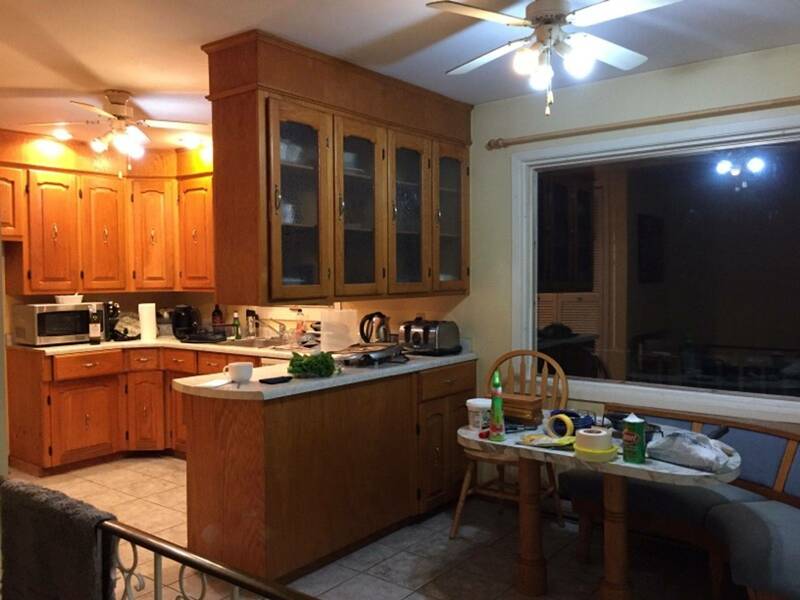 Kitchen Cabinet Door Refinishing Edmonton. 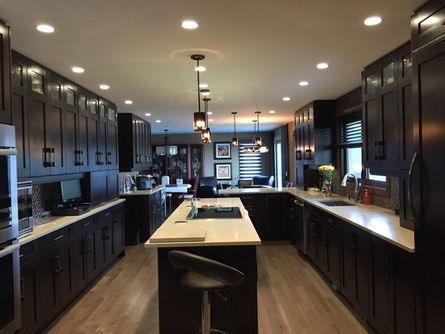 We do offer cabinet refacing in the Medicine Hat, Lethbridge, St Albert, Sherwood Park, Spruce Grove, Alberta. When refacing there is another option which involves applying new end panels to the cabinet sides and applying veneer or laminate to the exterior facing of the cabinet boxes. The end result is greener because less waste is going into the landfill. We also donate reusable cabinet components to the habitat for humanity. Average refacing takes between 3-5 days based on a 10 x 10 kitchen. 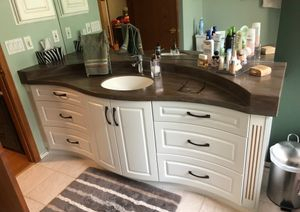 Custom Bathroom Cabinet Door Replacement and Refacing. 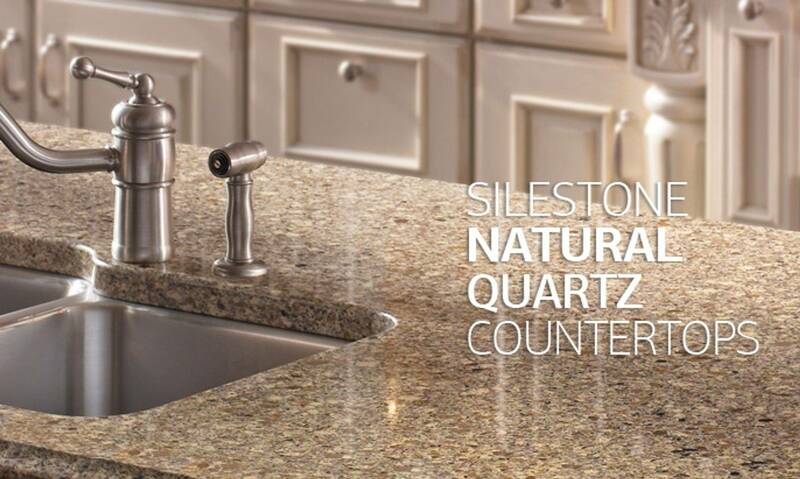 We also can replace your counter tops. The city has Canada’s largest planetarium. Telus World of Science is in Edmonton.